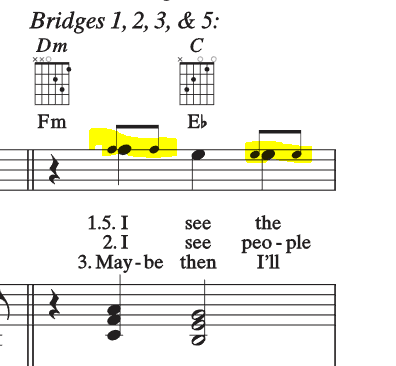 Please could someone clarify what the highlighted note combination means? The source is the song "Paint it Black" sheet music for guitar and piano. so if you play or sing the tune of the 3. verse you have to play or sing 2 eight notes, and dito in the 2. verse. Not the answer you're looking for? Browse other questions tagged guitar notation or ask your own question. Is there a highest note representable on sheet music without using an octave higher notation?